Decision making using fuzzy soft set (FSS) and its extensions has become the most significant research area in the age of uncertainty. 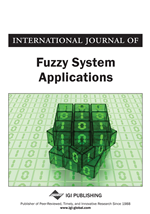 In this article, the authors survey the evolution of fuzzy soft sets (FSSs) during the last decade and a half (2001-2015) to analyze the impact of FSS and its extension in the decision-making paradigm. Based on some selected journals, conferences, and online databases, this article classifies the decision-making process mainly into ten different categories, which are based on different types of FSSs. This article briefly explores each individual category by mentioning the theoretical/algorithmic approaches proposed by the respected authors. Furthermore, all papers are categorized with respect to publication year, published journal, application type, and decision-making criteria. This literature survey provides a platform to the researchers to find out the dimensions of future research works in FSSs by analyzing the present state and potential areas. This section presents the relevant definitions and a brief description of FSSs based articles followed by tabular representations of their key aspects.